Enjoy a seamless design experience at home or at school using CorelDRAW® Home & Student Suite 2018 to create logos, layouts, newsletters, photo projects, social media content and more. Get started quickly with versatile in-product learning resources, a user-friendly Quick Start Guide and extensive design assets including high-quality clipart and photos, fonts, fills and templates. CorelDRAW Graphics Home & Student Suite 2018 offers a professional easy-to-use graphic software product for both student and home users. Create your best work with a comprehensive toolbox of user-friendly features for graphics, layout, illustration, tracing, photo editing, web images and art. It’s perfect for all levels of design experience! 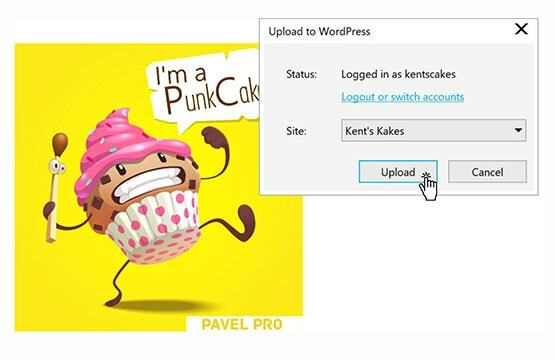 Enjoy easy-to-use applications like CorelDRAW Home & Student 2018 and Corel® PHOTO-PAINT® Home & Student 2018, plus the new capability to directly upload to WordPress from within the product. 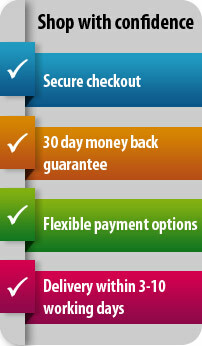 You’ll have everything you need to design with confidence and achieve stunning results every time. Unleash your creative potential and explore intuitive tools to express your unique style and delight your family, friends and teachers. Find all the features you need, including the new capability to add perspective to bitmaps and the new functionality of aligning and distributing nodes for time-saving controls to position objects with precise alignment. Make the most of your photos with the control and precision you need to make them look perfect, even at high resolution. Explore easy-to-use tools to resize, crop, and apply special effects, plus access a collection of amazing photos. 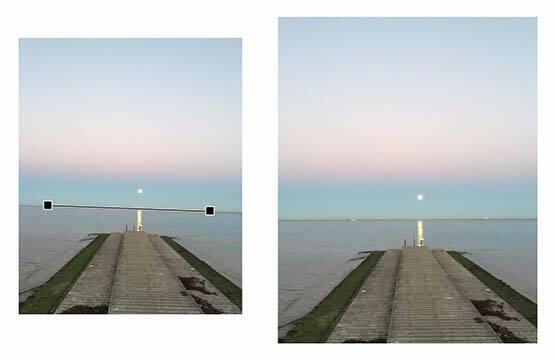 Rotate crooked images interactively with the new automatic alignment and straighten feature, plus intelligently adjust photo perspective. Complete your projects with streamlined tools and settings, making workflow and tasks simpler. With extensive file compatibility and support, you’ll print or share with ease using popular file formats. Our new touch friendly UI workspace allows you to complete projects more proficiently with an extra responsive design experience, and you can accomplish designs faster with full support for Windows 10, stylus improvements, multi-monitor viewing and Ultra HD 4K displays. 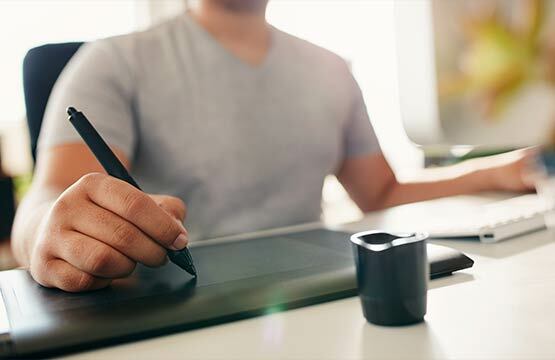 †An authenticated version of CorelDRAW Home & Student Suite and Internet connection are required to to access some of the included software components, online content and features. Create quick adjustments using touch or a stylus. The Touch workspace maximises the size of your drawing window by displaying only the tools and commands used most often, plus you can pan and zoom with a single gesture. Quickly create the illusion of distance and depth by applying perspective to bitmaps, vector objects or both directly in the drawing window. It’s an ingenious tool to showcase artwork in real world scenarios. Get the power and stability you need with full support for 10, 8.1 or Windows 7. 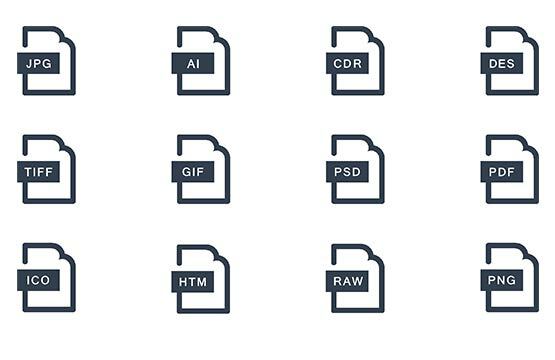 Import, export and share your designs with ease thanks to a variety of compatible market-leading file formats, including AI, PSD, PDF, JPG, PNG, SVG, EPS, TIFF, PPT and more. 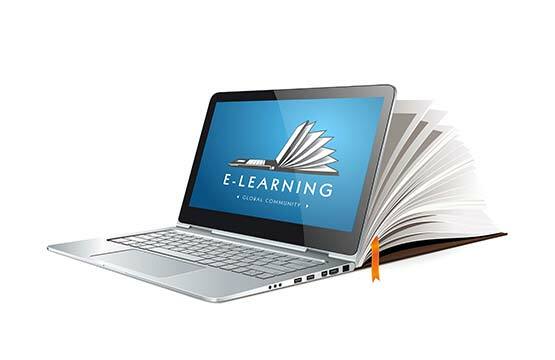 Start smoothly or learn a new trick, no matter your level of experience, with our growing library of dynamic learning materials, including a Quick Start Guide, video tutorials, webinars, a Hints docker and Insights from the Experts. Adapt and customise your design space to match your workflow needs. 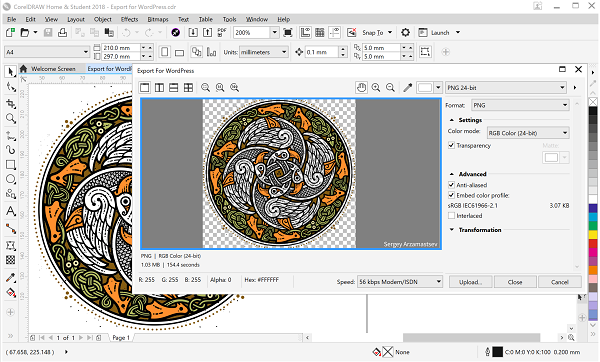 Seamlessly import CorelDRAW and Corel PHOTO-PAINT workspaces that were created in previous versions of CorelDRAW, or use predefined workspaces to keep industry-specific tools organised and accessible. Find everything where you need it, when you need it. Choose between Lite or the Default workspace to get started, then use the quick customise feature to tailor your toolbox and property bars to suit your needs. Find content quickly using Corel CONNECT, a built-in search tool that lets you locate, organise and group content by type or project. Sync your trays with Microsoft OneDrive to maintain access to the latest versions of projects from other computers. 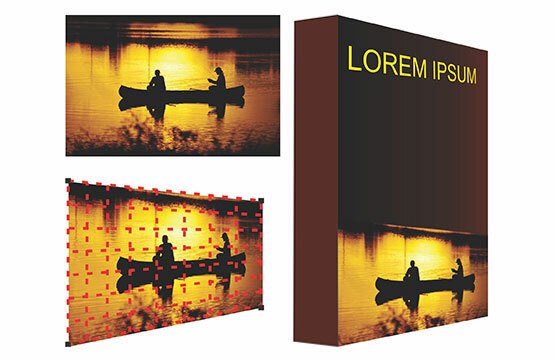 Keep designs fresh with more than 1,300 royalty-free clipart and digital images, 100 high-resolution photos, 125 fonts, 75 photo frames, 100 fills and 100 professionally designed templates, including certificates, ads, business cards, letterhead, flyers, posters and more. Save precious time while converting bitmap images into vectors. 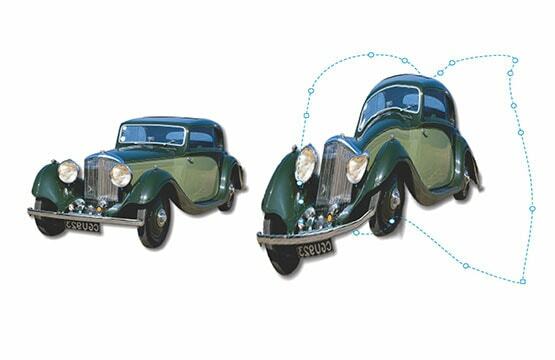 The built-in Corel® PowerTRACE™ engine provides the best tracing results yet and turns the most demanding bitmap images into high-quality vector objects. Make sure every element on the page is in the right place. 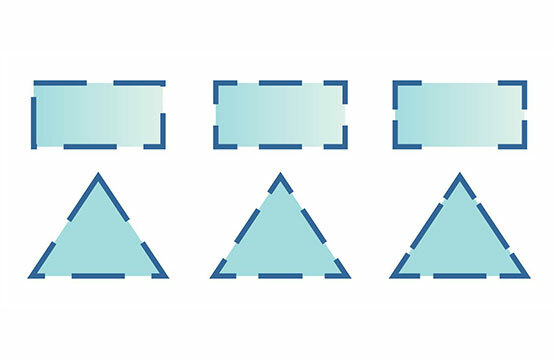 The Alignment Guides help you position objects quickly, and the Outline Position options let you pick whether an outline is positioned inside the object, outside the object, or both. Add creative effects to your vector artwork. Four shaping tools—Smear, Twirl, Attract and Repel—let you refine your vector objects by pushing, pulling, smudging, making indents and more. Explore special effects, including four pressure-sensitive Liquid tools (Smear, Attract, Repel and Twirl), and camera effects (Bokeh blur, Colorize, Sepia toning and Time Machine), to create unique images in Corel® PHOTO-PAINT™ Home & Student 2018. RAW file support for over 300 types of cameras gives you even more ways to enrich your images. Improve your favourite photos with powerful tools to correct and edit in a variety of ways. Try the Healing Clone tool to remove imperfections by blending them with surrounding colours and textures. 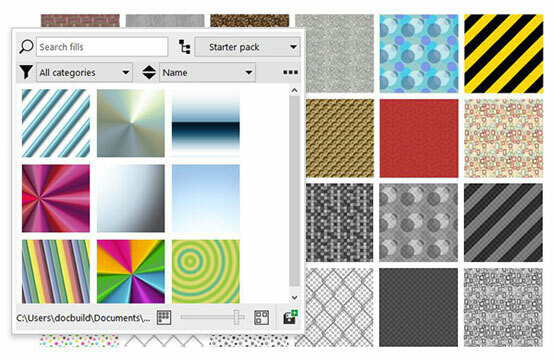 Develop captivating web content and graphics with a collection of web graphics tools. See exactly how your content will display online, and use the Export Dialog box to compare file formats before export. 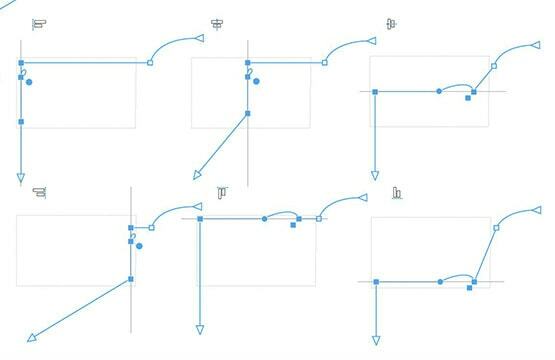 Copy, paste, or duplicate pieces of existing curves with the Copy Curve Segments feature that allows you to reuse curve segments in your projects. Create beautiful text with advanced OpenType typography features, such as ligatures, ornaments, small caps, swash variants and more. Enjoy comprehensive language support that allows you to customise characters to suit the language you’re working with. Working with Asian and Middle Eastern languages is easy, thanks to key features in CorelDRAW that ensure proper typesetting. Complex script support acts the same way as OpenType fonts, modifying characters as you type to deliver contextual accuracy. 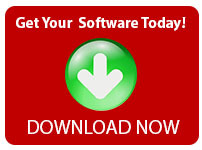 This software comes as a boxed product and can be installed from disc or via download link.